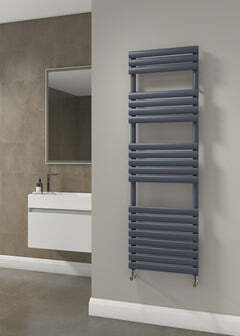 The Reina Neva Horizontal Chrome Radiator features rounded tubes running vertically, and is simple and elegant. The design is a real eye catcher. The Neva Chrome would look great in any room. 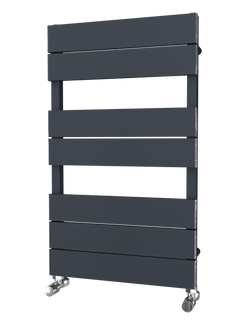 The Reina Osimo Vertical Designer Radiator is has an elegant vertical design. The polished chrome bars give a reflective finish. The Osimo would look stunning in any room. 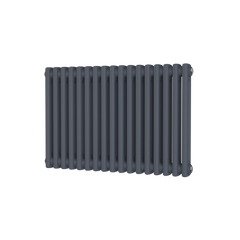 The Radox Manhattan Designer Radiator is a gorgeous versatile radiator that can be used in living rooms, hallways, bedrooms and even bathrooms. The Manhattan will always keep you warm and make you smile. The Radox Manhattan is available in stunning finishes, Chrome, Black Pearl or Lime. 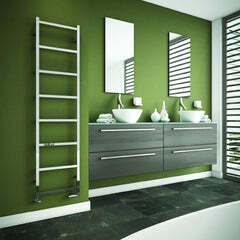 The Radox Maze Designer Radiator is a stunning piece of art that will surely catch your eye in any room setting. The 90 degree mitered joints provides a unique and beautiful pattern of lines. The Radox Maze is available in 3 different finish options, Stainless Steel, Chrome or Black Pearl. The Reina Neva Vertical Chrome Radiator features rounded tubes running vertically, and is simple and elegant. The design is a real eye catcher. The Reina Dimaro Designer Radiator is one of the most beautiful designs available on the market today, with sculpted bars flowing in front of each other creating a waved effect. What a beauty! The Dimaro would look amazing in any Hallway, Kitchen or Living Room. The Reina Dimaro is crafted from beautiful Polished Chrome.